In previous tutorial, we have seen configuring ReportNG with TestNG testng.xml and Now we will see configuring reportNG with Ant build.xml. TestNG allows to define different ant testng tasks in build.xml file. 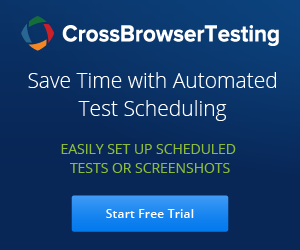 The below are the few configuration options that can be used along with testng tasks. 1. Listeners - We can add Comma or space separated list of fully qualified class names that implements TestNG iTestListener or iReported as a listener to testng task. Before installing ANT, make sure you have a Java environment installed. And then proceed for ANT installation. Check from command prompt if java is installed already in your machine. Type 'Java -version' to check if the java is installed or not. Note: Make sure you download the appropriate formats. As .zip format is recommended format for Windows Operating systems. It looks like apache-ant-versionxyz-bin.zip.